This type of mistake requires a pretty big eraser...or at least attempts to fudge it. 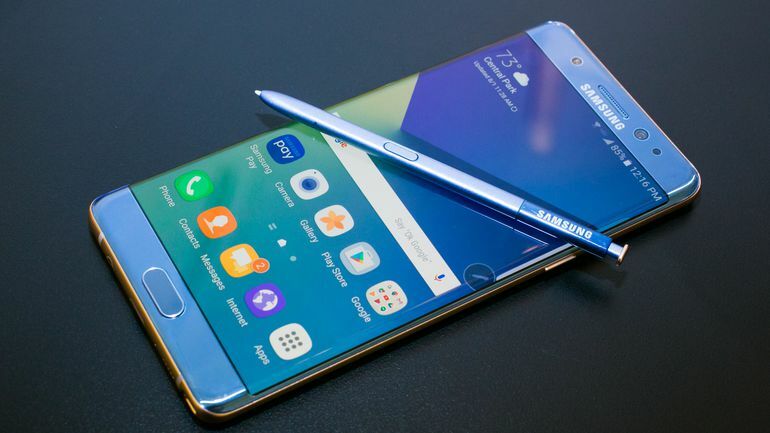 Recently, Samsung discontinued its Galaxy Note 7 after a series of embarrassing and dangerous incidents where the phone would overheat and outright explode. 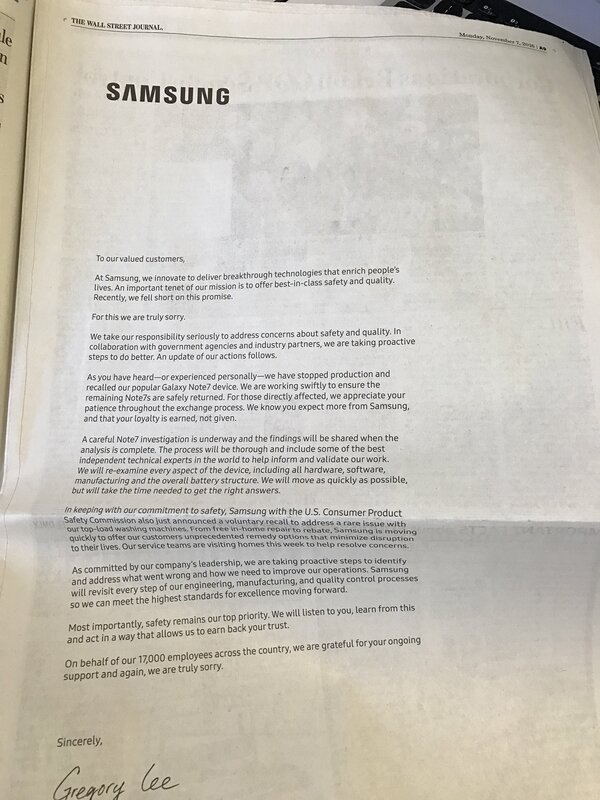 As a result, Samsung is now running full-page apology ads in The Wall Street Journal, The New York Times, and The Washington Post, which appeared in Monday's editions of each publication. Essentially, the ad explains that the phones are still under investigation, from their manufacturing process to the development process to make some sense out of the issues that occurred, namely what made the phone catch fire in the first place. This issue has been going on since the phone's August release, and as of now around 85 percent of all of the devices have been returned. Can Samsung truly bounce back after this monumental foul-up? Only time can tell, but it seems that the company is at least dedicated to doing the right thing, offering special discounts to owners in Korea for the next Samsung release, the Galaxy Note 8. Nothing has been offered as of yet to Western owners, but hopefully there's some sort of plan or reparations coming.